Weck’s home canning jars are well-known in Europe. The Weck canning jar system consists of glass jars, glass lids, tabbed rubber gaskets (sealing rings) and metal clamps. 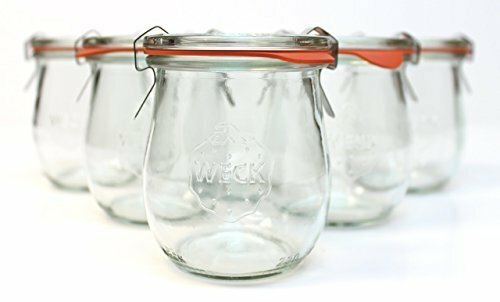 The most noticeable difference between Weck jars and Mason jars is that Weck jars are missing the threaded grooves that Mason jars have at the top. The Weck name is very respected in Germany. 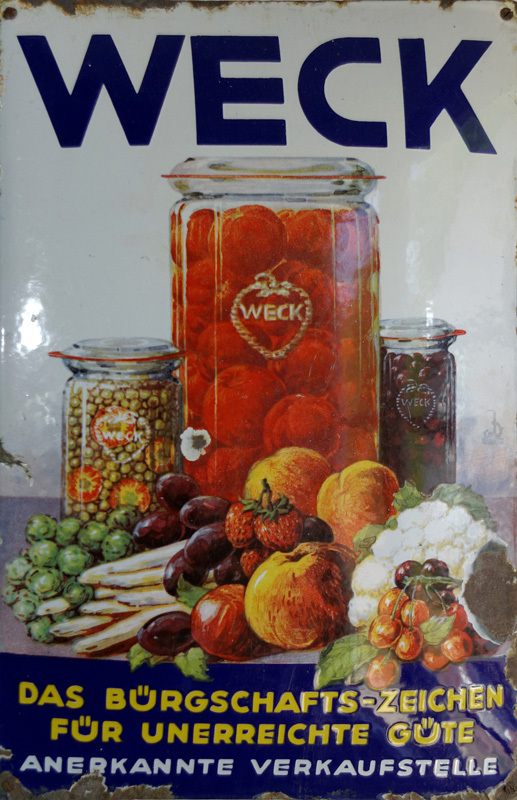 In fact, home canning in Germany is so closely associated with Weck jars that canning is sometimes referred to as “einwecken” (meaning, “in Wecks”). Though that word is not used by their competitors such as Leifheit, obviously, who prefer to stick with the actual real verb of “einkochen” (meaning, “cook in”). 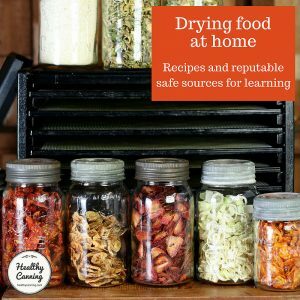 Weck jars are not currently on the USDA’s recommended list for use in home canning though they are part of a current study (as of 2017); see “the future” further down this page. In the meantime, Healthy Canning would have to caution people against using any recipes from Weck; they violate modern safety guidelines in a shocking number of ways. Use instead research-based, tested recipes from reputable sources. 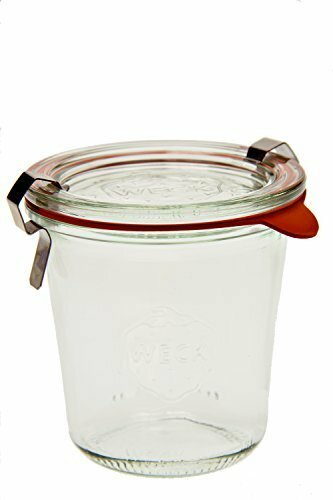 How do Weck jars work? 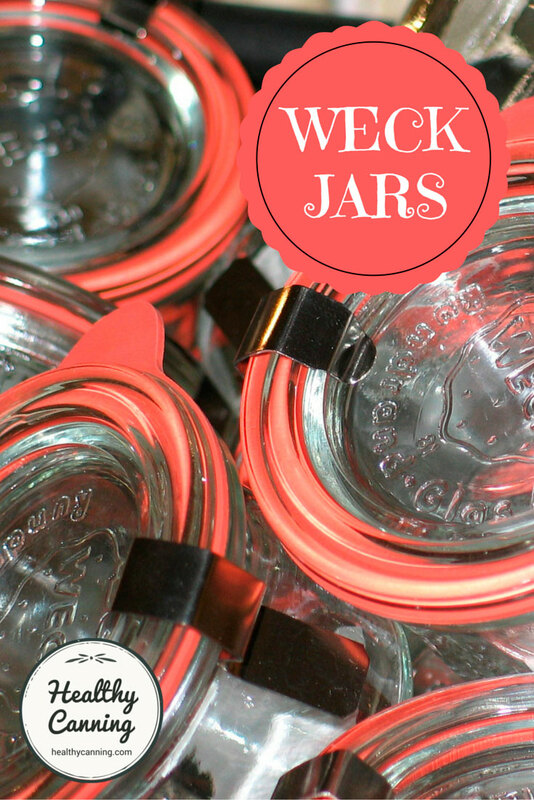 How many Weck jars can you fit into a canner? With their metal clamps, Weck basically operate in the same fashion as the Australian Vacola Jars, and the old Kerr Economy Jars. You put your prepared food in the jar. 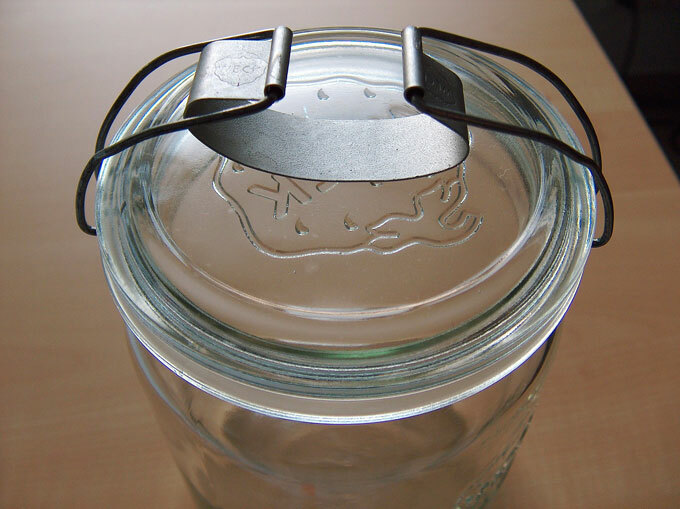 Put a rubber gasket on the outer rim of the jar. Put the glass lid on. Take a second to ensure that the rubber ring is properly centred. Use a few clamps to hold the lid in place (2 clamps for water-bath; 3 for pressure-canning.) 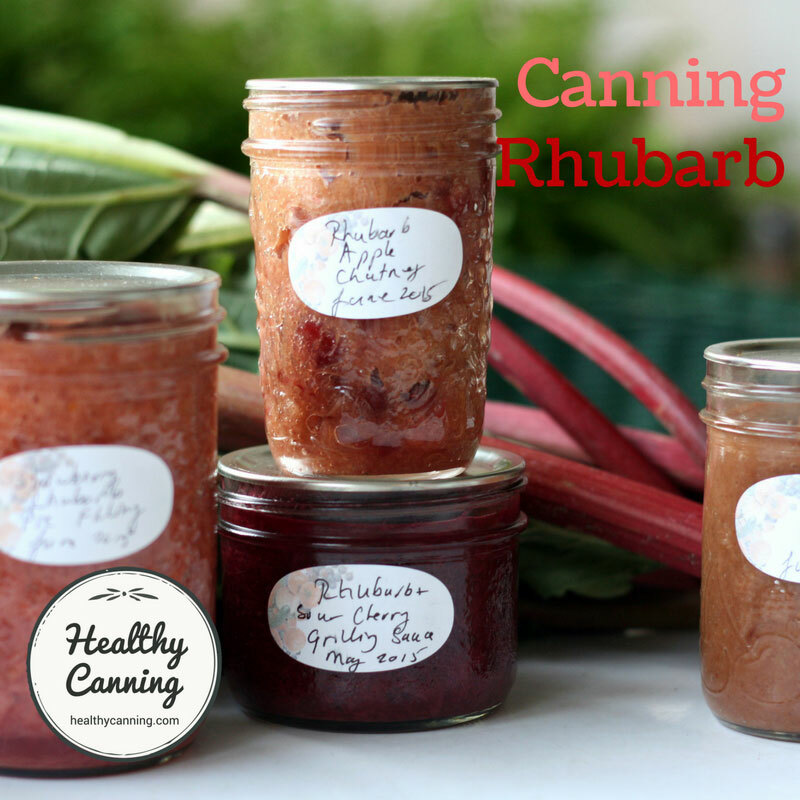 Process the jar in the appropriate type of canner for the food product being canned. Remove when done, let cool. When cool, remove the clamps and store the clamps away for the next canning use. Now, check the seal, visually and physically. Visually, you should see the tab on the rubber sealing ring pointing down. Next, lift the jar by the rim of the lid, as you would for a Mason jar lid after removing the canning ring. The rubber tabs pointing downwards are your sign that you have a seal. Looking for tabs pointing downwards provides a simple, quick way to visually inspect a shelf of preserves. If you’ve got a seal, then wash the jar, label, and store away. Lisa Rayner, in The Natural Canning Resource Book, expresses surprise about Weck’s concern about whether its seal has truly worked or not: “The booklet says, ‘In the first few days after processing you should carry out regular sealing checks of your jars.. daily… later, at longer intervals.’ This is something that neither Jarden nor Tattler systems require.”  Rayner, Lisa. The Natural Canning Resource Book. Flagstaff, Arizona: Lifeweaver LLC. 2010. Page 63. The jars are certified for both water-bath canning and pressure canning. 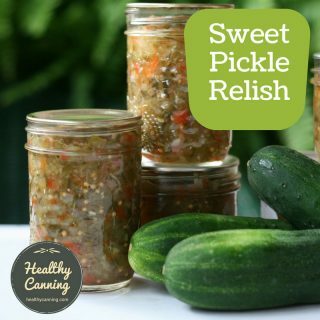 “The booklet says that Weck jars can also be used for..pressure canning…. 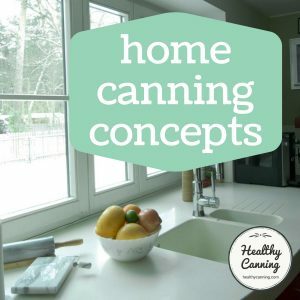 It recommends using three clips arranged in a triangular pattern to hold on lids during pressure canning.”  Rayner, Lisa. The Natural Canning Resource Book. Page 63. 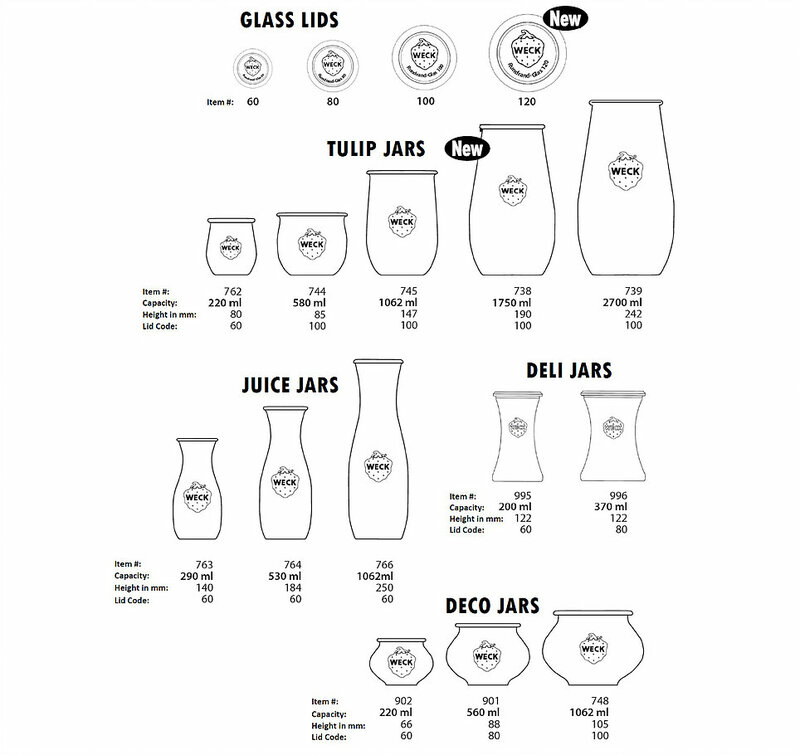 The jars come in eight different shapes as of 2017: deco (Schmuckglas / Fêtes in French), delicatessen (Delikatessenglas), gourmet (Gourmetglas), juice (Saftflasche / Flacons), tulip (Tulpenglass / Corolles), cylindrical (Zylinderglas / Tubes), mold (Sturzglas / Droits), and mini-mold (Mini-Sturzglas). The last three are straight-sided jars. The jar sizes in terms of volume / capacity are erratic. Given the combination of German rationality and metric logic, one would probably have expected a rational, linear set of jar sizes. In fact, the absolute opposite is the case. 35 ml, 50 ml, 80 ml, 100 ml, 140 ml, 160 ml, 165 ml, 200 ml, 220 ml, 290 ml, 340 ml, 370 ml, 530 ml, 560 ml, 580 ml, 600 ml, 700 ml, 850 ml, 1040 ml, 1062 ml, 1590 ml, 1750 ml, 2700 ml. There is also a “jelly glass / Geleeglass” with a metal lid, with a capacity of 235 ml. Here is their catalogue as of October 2016. Note that their “item numbers” have nothing to do with capacity or mouth size. 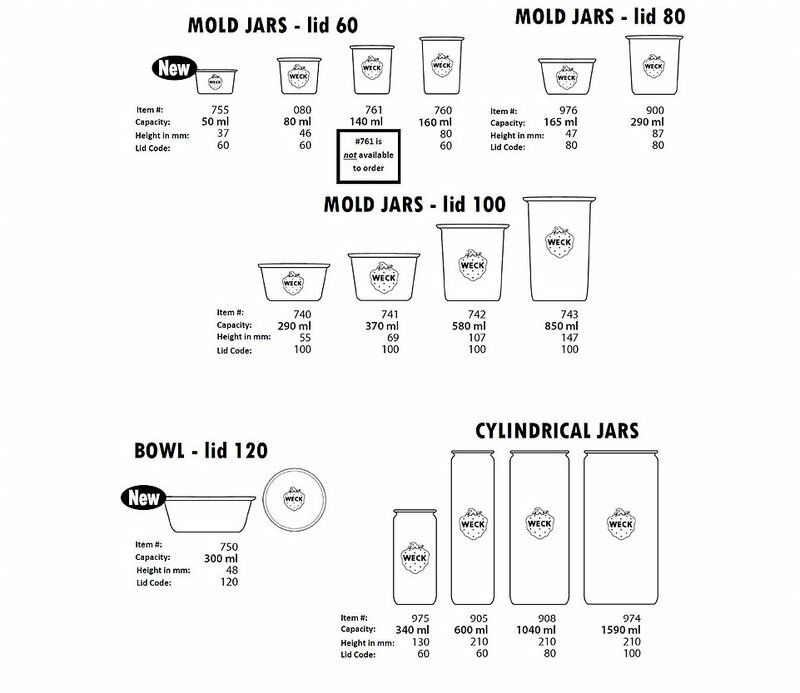 Here, from the Weck Canada site, is a visual display (as of end 2016) of their jar line. Source: Weck Canada https://www.weckjarscanada.ca/weck-jar-line-art. Accessed Feb 2017. When marketed in German, the capacities are given as above, in the irregular “ml” sizes. Why do the volumes in Weck jars differ to the amount indicated in their name? When they started selling the Weck jars in the US some 30 years ago they hired a home economist who came up with the description which are only approximate volumes. Oz Farmer. FAQ. Accessed March 2015 at https://ozfarmer.com/index.php?route=information/faq/faq&faqcategory_id=6. Link invalid Jan 2018. You may see the 530 ml, 560 ml and 580 ml jars sold as half-litre; and the 700 ml and 850 ml jars sold as three-quarter litre jars. There are five different mouth sizes of Weck jars: 40, 60, 80, 100 and 120 mm. Replacement rubber sealing rings, glass lids, and plastic storage caps are available in those sizes. Mouth size has no relation to the capacity of the Weck jar. Over time, the side edges of the glass lids will get nicked a bit from being in boxes, etc, with other glass lids, and from the wear and tear of the clamps going on and off. This won’t effect operation or your seal, unless the nicks extend down to the underside of the lid. Weck recommends using a new rubber ring each time (the glass and the clamps are re-usable indefinitely.) Apparently some people do re-use them, however. Carefully check the sealing rings before use, especially if they have already been used. The best way to detect any cracks is by taking the ring between the thumbs and the index finger, and then pulling it slightly apart. A secure sealing of the preserving glass is ensured only with defect-free rings.” Der Schlüssel zum Erfolg. https://www.weckonline.com/der-schlussel-zum-erfolg. Accessed February 2017. The rings shouldn’t be reused, according to the manufacturer, but you may find that like Tattler rings they last well through multiple uses. You know a ring is good when you take the clamps off the cooled jar and the glass lid stays on.”  Ziedrich, Linda. Home Canning, BPA-Free. Blog entry 20 January 2012. Accessed March 2015. Weck says about its rubber sealing rings, “Packing the jars too high or excessive heating of the hot vinegar solution may have a negative effect on the rubber canning ring; the jars will not seal properly, because the rubber ring tends to become very wavy and stretch under the influence of the hot vinegar solution.”  Rayner, Lisa. The Natural Canning Resource Book. Page 63. Which presumably means: leave some headspace, don’t pack the jars too full. To open a sealed jar, you just pull the rubber tab slowly down and outwards. Don’t yank it, or you may cause the glass lid to jump up and roll off the counter, chipping or breaking. 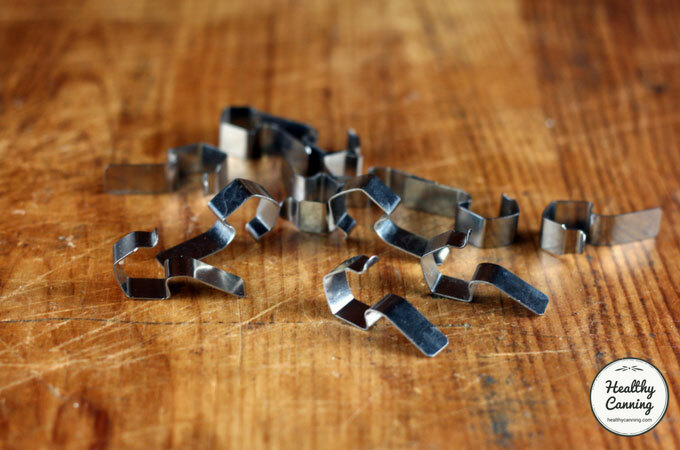 Weck clamps. 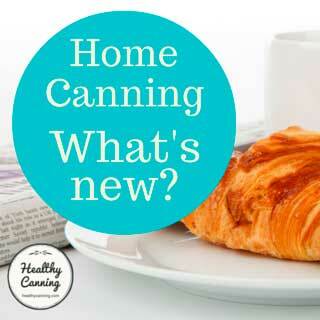 Use 2 for water-bath (or steam) canning; 3 for pressure canning. The jar clamps (“EinweckKlammern”) are made of rust-proof stainless steel. When you are water bath (or steam) canning high-acid foods, you use two clamps to hold the lids in place during processing. When you are pressure canning (for low-acid foods), you use three clamps to hold the lids in place. The clamps might seem fiddly at first for those used to Mason jar screw bands, but they do certainly have one advantage: with the screw bands, there is the constant concern about “how tight”, and canning instructors are forever flustered trying to explain “finger-tip tight.” With the clamps, the “how tight” is always just taken care of for you. The clamps, Weck says, “have an exactly adjusted, permanent spring action”. The Key to Success. Weck International Online. Accessed February 2017 at https://www.weckonline.com/the-key-to-success! So in theory, the “exactly adjusted” tightness is taken care of for you, and will always be bang on. To avoid chipping the lid with the clips, place the clip on the lid first and then push down towards the side of the jar. 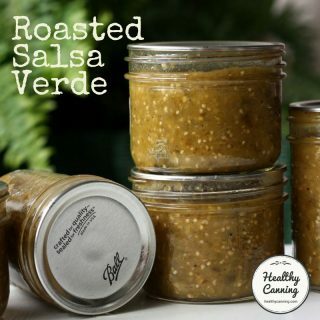 If you start from the side of jar and push towards the lid, you risk breakage.” McLellan, Marisa. How to Pressure Can Dried Beans in Weck Jars. After processing and cooling, you remove the clamps and store them away. You rely on your hermetic seal to keep the lid held down. That is all fine, if you are thinking of a single-use product, such as pressure-canned green beans: you would open it, use the green beans, then wash the jar and lid for re-use. If, however, you have an item such as jams, pickles or relish, of which you use a bit then need to put a lid back on for storage in the fridge, then you either have to put the metal clamps back on to keep the glass lid on, which gets boring fast, especially if people in your household are prone to losing small things like that, or, buy Weck’s plastic tops for their jars for storage while the food product is in use. Weck offers its snap-on “Keep Fresh Covers” that come in various unique sizes (60, 80 and 100 mm) for its Weck jars. They are white and BPA free. Weck says that it will not provide a mechanical bail system such as Le Parfair does on purpose. Is there any other reason why WECK does not produce home-canning jars with mechanical sealing devices? Yes, and it’s a reason of utmost importance: Your personal safety. In case the contents of a jar should spoil for any reason the gases formed by spoilage inside the jar must be free to push up the lid so that it lies loosely on top of the jar. This warning signal is so clear and strikingly plain that it is best suited to protect you and your family from the dangers of consuming spoiled canned food unknowingly. For this extremely important reason of personal safety, a reason which is still more important than the practical ones mentioned above, WECK has consistently refused to produce jars with mechanical wire bail seals for home-canning purposes. In case of spoilage, these mechanical seals cannot produce the strikingly clear warning signal of the loose lid.”  Weck canning notes. Accessed March 2015. Some people with arthritis report that working with the clips can be a struggle at times and cause them mild discomfort, compared to other closure systems. Weck seems to want a minimum of 1/2 inch (1.27 cm.) This will be surprising at first to those who know that items such as jams and jellies only want 1/4 of an inch, but bear in mind that the indent of the lid actually goes down into the jar space nearly 1/4 of an inch (5 mm). So, you are losing 1/4 inch of headspace anyway right off the top. Weck lids have an indent of about 1/4 inch / 5 mm which goes down into the jar space. Headspace has to be calculated with this in mind. Tested recipes from reputable sources will always give you the exact headspace to be used, but with Weck jars, it would appear that that extra 1/4 inch / 5 mm needs to be factored in. As of 2017, Weck seems to be updating its canning directions in different languages, thought it’s not all happening for each language at the same pace. The English directions for the US and Canada seem to be the ones updated most recently. 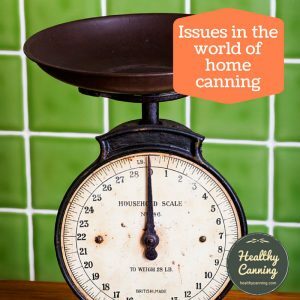 They are also the most precise, and seem to accord with USDA guidance the most — perhaps in preparation for a stronger presence in the booming North American home-canning market. Other language speakers get different headspace directions. For instance, Italians are told to leave 1 cm (“Fill the jars up to 1 cm from the edge; add liquid or syrup to the same point. However, always check every single recipe for exact directions.” Spaniards are told the same, except to leave 1.3 cm. Germans are told, “When you put the rubber ring and lid on, it doesn’t matter if some liquid is pressed out of the jar, except for viscous matter such as rhubarb, whose fruit fibres could get under the ring and prevent a seal. Therefore keep 1 cm headspace with viscous products. Keep 4 cm headspace with items that swell such as sausage.” The Dutch and the French are told the same as the Germans, though their viscous example is apple sauce, and the Dutch are told to fill only 3/4 of the jar when canning sausage. Source: https://www.weckonline.com/les-regles-de-la-reussite. Accessed February 2017. Peaches, black cherries, and apricots in 290 ml jars. In the The Natural Canning Resource Book, Lisa Rayner raises concerns about the shapes of Weck jars versus processing times: “The shapes of Weck jars are different from Jarden jars, so it is impossible to ensure that USDA processing times are sufficient for all recipes without microbiological and heat penetration testing.”  Rayner, Lisa. The Natural Canning Resource Book. Page 63. She’s perhaps forgetting, though, about the straight-sided Weck jars, and about the squatter shapes of Ball’s new Elite line of jars, which to be fair, you’d have to raise the same questions about. 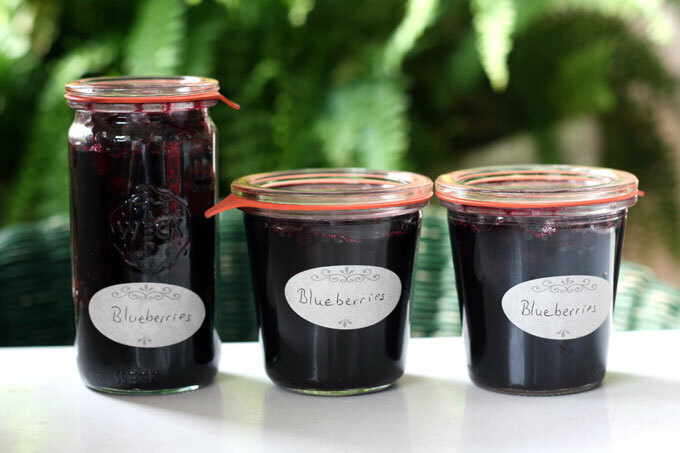 Linda Ziedrich is perhaps more practical about it, in her usual no-nonsense but informed fashion: “USDA processing times are based on jars shaped more or less like Ball and Kerr jars. 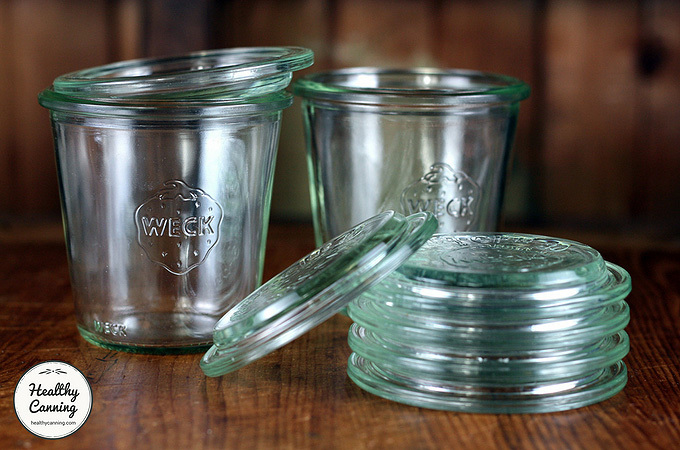 If this concerns you … stick with the more standard shapes [of Weck jars] ….”  Ziedrich, Linda. Home Canning, BPA-Free. 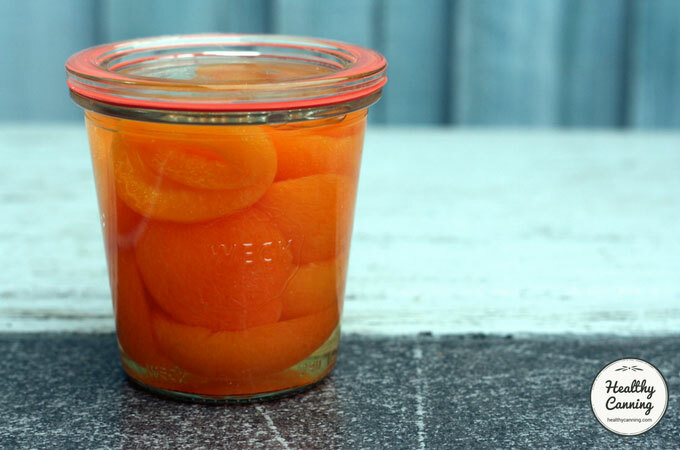 A downside to Weck jars may be that, owing to their shapes, you may be able to process fewer jars at a time, making your canning days longer when the season hits. 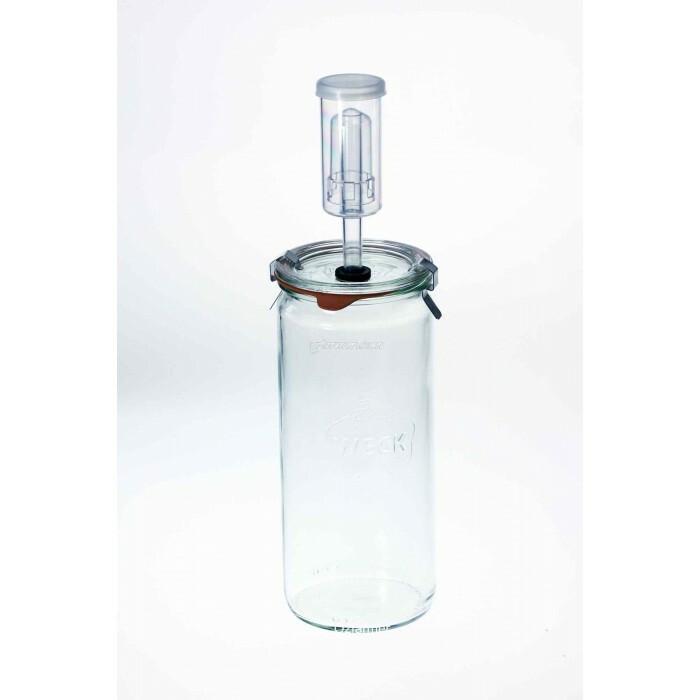 5 x 1 litre Weck tulip jars can fit into Victorio Multicanners (VKP1130 and VKP1145) for steam canning at one time. It is not possible to stack this size when steam canning simply owing to insufficient height inside the canner. 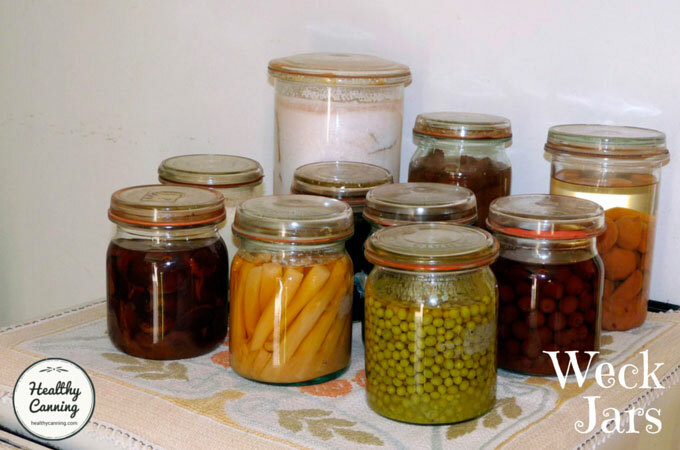 The Weck company says that stacking Weck jars filled and sealed with home preserves is not an issue with Weck jars; that you can go ahead and stack them with confidence on your pantry shelves, because the rubber tab will be your safety indicator. In the seal on the WECK jars, the pull tab of the rubber ring on the sealed jars quite clearly faces downwards. If you arrange the jars correctly on your shelves, you can simply check them by visual inspection to ensure that they still face down. This facet of the seals will prove the stackability of the WECK jars and arrange them on top of each other.” The Key to Success. Weck International Online. 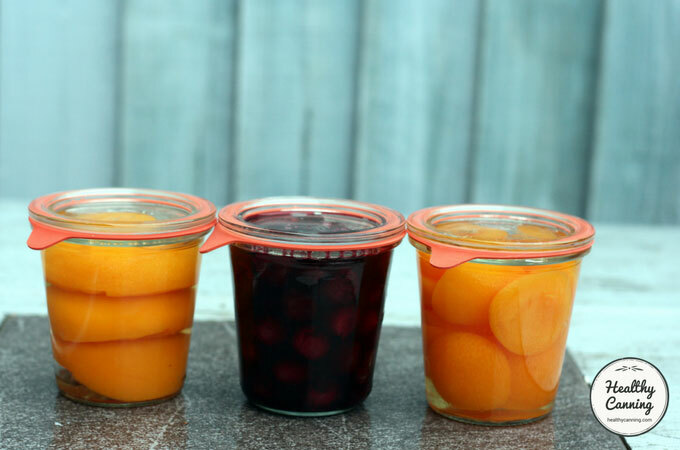 Weck jars are dishwasher, freezer, and microwave safe. For freezing, the company recommends you use straight-sided Weck jars, and for a cap, they suggest the plastic Weck storage caps instead of the glass lids. Jars with large mouth openings and straight sides should be used, and lids should be tight fitting. WECK Round Rim jars with plastic ‘Keep Fresh’ covers are perfect for freezing foods. The ¼ liter mold jars and the 1 liter tulip jars have straight sides and 3.875 inch opening, and the ‘Keep Fresh’ lids fit securely on the jars.” Devitt, Dave. Freezing in Glass: Fruits and Vegetables. Weck. 2011. Page 1. For detailed freezing info including headspace, see their info sheet: Freezing in Weck jars. A woman named Judy from Glashaus, Weck’s North American distributor, emailed us from weckjars.com to say that Weck jars should not be used for baking. Judy. info@weckjars.com. Correspondence with Healthy Canning. July 2017. Emails on file. We’re fine with that advice: we don’t usually bake in canning jars, anyway, and have tons of pyrex dishes should we wish to bake in glass. The problem, however, is that whoever is running the weckjars.com twitter account is repeatedly tweeting that Weck jars are oven-safe to 400 F (200 C). We repeatedly asked Judy at weckjars.com and the twitter weckjars.com person about their conflicting messages, but repeated requests were either ignored or received answers that seemed unlikely. 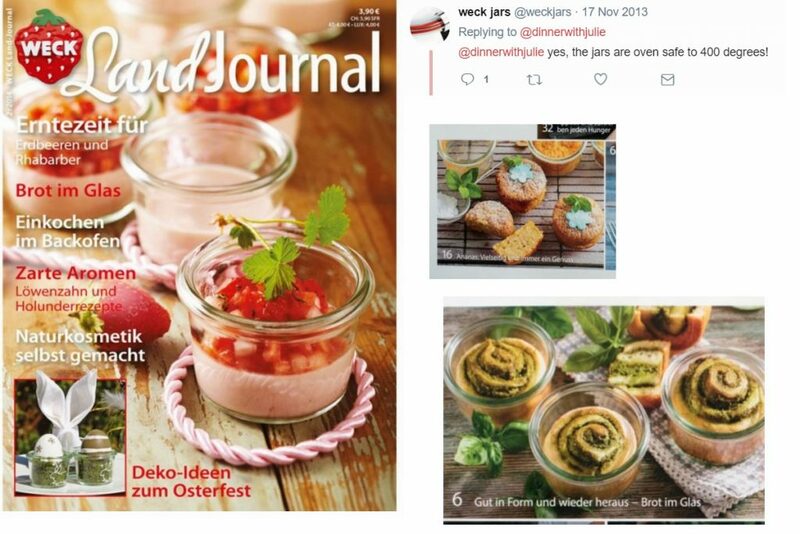 On top of that, Weck in Germany actively promotes baking in Weck jars, as evidenced by their in-house magazine, “LandJournal.” They do say, however, to only use their straight-sided jars for it. So are Weck jars oven safe? The answer would appear to depend on what country you ask the question in, and who is behind which of Weck’s various electronic accounts at the time. As seen, Weck’s communications appear to have consistency issues on more than one topic, which is a bit alarming when it comes to basic kitchen health and safety. On Australian web sites, we are seeing a Weck glass lid with a hole in it for fermenting. We haven’t been able to find this on Weck’s main German website, or any other country website. Here is what it looks like from the Ozfarmer web page for it. I’ve long kept some of the German-made Weck jars, which are now widely available at U.S. cookware stores as well as via the Web. These jars come with rubber rings much like the Tattler rings, and stainless-steel metal clamps that hold down the glass lids during processing. The rings shouldn’t be reused, according to the manufacturer, but you may find that like Tattler rings they last well through multiple uses. You know a ring is good when you take the clamps off the cooled jar and the glass lid stays on. For storing opened jars in the refrigerator, Weck sells plastic caps to fit. 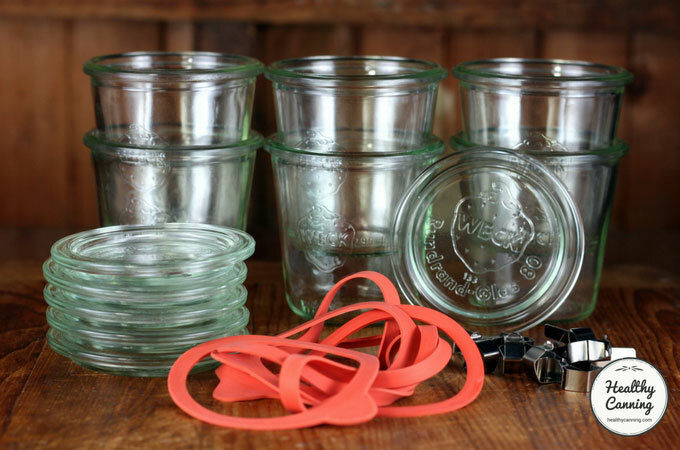 When the rubber rings for your Weck jars have worn out, of course, you must find new ones, and until recently this was difficult to do in the United States; my Weck jars sat unused for years for this reason. Now, however, the rings are available inexpensively at Weck’s U.S. website. 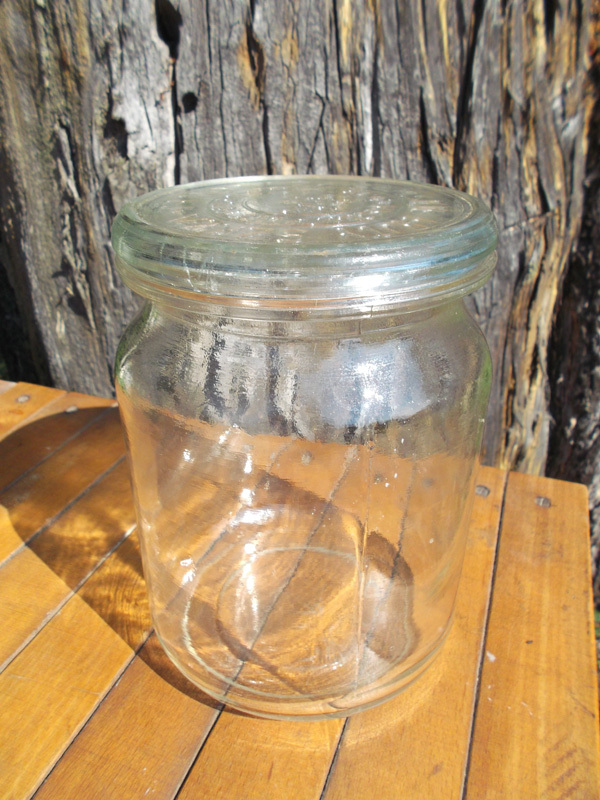 Some Weck jars come in whimsical shapes; I have “deco” liter jars that are nearly round. USDA processing times are based on jars shaped more or less like Ball and Kerr jars. If this concerns you, either stick with the more standard shapes or increase your processing times a bit. The only disadvantage I find with Weck jars, besides the prices (for example, six half-liter cylindrical jars cost $18.25, plus shipping, on the Weck website), is the minor difficulty of getting the metal clamps on. I often chip the lids when doing this, though the slight chipping doesn’t damage their integrity. Ziedrich, Linda. Home Canning, BPA-Free. 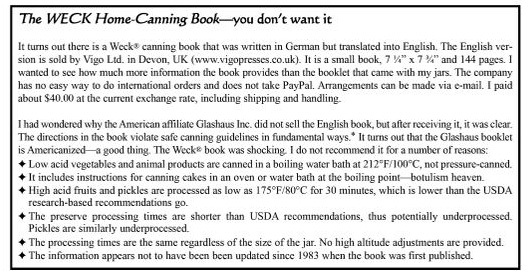 Healthy Canning reviewed Weck’s canning guidance as well, and came up as shocked as Rayner did. From a German company, you would expect modern, research-based procedures based on an intellectual rigour. Instead, the advice and procedures are loosey-goosey, dangerously out of date, and there’s no evidence that we can see of any lab safety testing by professionals certified in microbiology has ever taken place or of Weck even having any labs in or out of house. 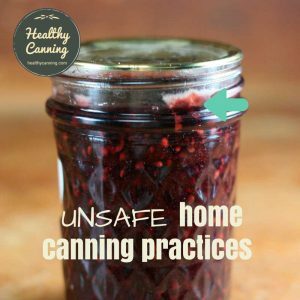 On their Rex site, in February 2017, they pass on home canning advice from bloggers with zero experience or qualifications in food safety. 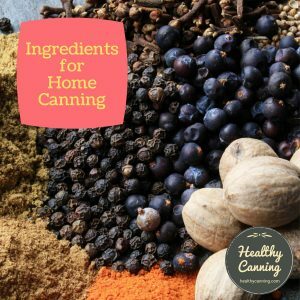 They would have you home canning cake, and dry canning nuts, both of which the USDA has specifically issued safety warnings against doing based on actual research. 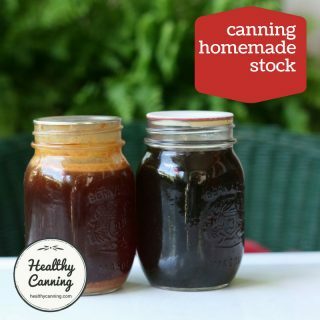 Their processing times are erratic (the same for all size jars, which makes no sense), and they have plain vegetables and meat being water-bath canned at 100 C, even though a temperature of 121 C, which is required to kill botulism spores, can only be reached with pressure canning. The Weck processing advice appears to be based on killing spoilage organisms only, which leaves dangerous food safety organisms untouched. A USDA scientist, Charles Ball, in 1927 summed up the kind of approach that Weck seems to have taken as being “cut and try”: keep trying until something stops going bad in the jars. One of the problems with this approach is that it stops well short of ensuring that the food is actually safe for consumption because other nasty organisms can be left alive. Looking appetizing, versus being safe, are two different things, as any mushroom hunter can tell you. Several hundred cases a year of botulism occur in Europe owing to unsafe home canning practices, and those poor souls are getting that bad canning advice from somewhere. Our advice to Weck would be: as far as recipes and procedural advice, join the modern world, or retract the recipes and advice and stick with making jars only. In 1901, Weck started its now-famous magazine called “Ratgeber” (“counsellor”). At first, it was a loose-leaf publication called “Die Frischhaltung” (the Preservation.) Frick, Hans-Peter. 100 Jahre Weck-Glas: In alter Frische. Badische Zeitung. 19 July 2010. Weck’s goal was to educate people in both regular cooking and in preserving, thus promoting their products. Twenty thousand copies were sent to schools, churches and hospitals free of charge every month. The magazine is still published today, though the name of the magazine has been changed many times over the decades ”Und mit den Hausfrauen in Deutschland hält die Firma Weck Kontakt über ihre nun seit 1901 erscheinende Monatszeitschrift “RATGEBER FRAU UND FAMILIE” — Weck. Die Geschichte der Firma WECK. Accessed February 2017 at https://www.weck.de/index.php/ueber-uns . Page 7. The publication is still created by a team of writers out of Weck’s offices in Wehr. It’s printed in Offenburg Frick, Hans-Peter. 100 Jahre Weck-Glas, though e-editions are also now available. It is one of the oldest, still-extant publications in Germany. The USDA and National Center for Home Food Preservation (NCHFP) do not currently recommend for (or against) Weck jars. Currently as of 2017 the NCHFP is hoping to be able to evaluate alternative lid closures and that may or may not include Weck jars. The NCHFP is unable for obvious liability reasons to recommend anything that it has not had the opportunity to evaluate and test for itself. The current recommendation is for the two-piece metal lid system that has been the norm for the past 50 years. 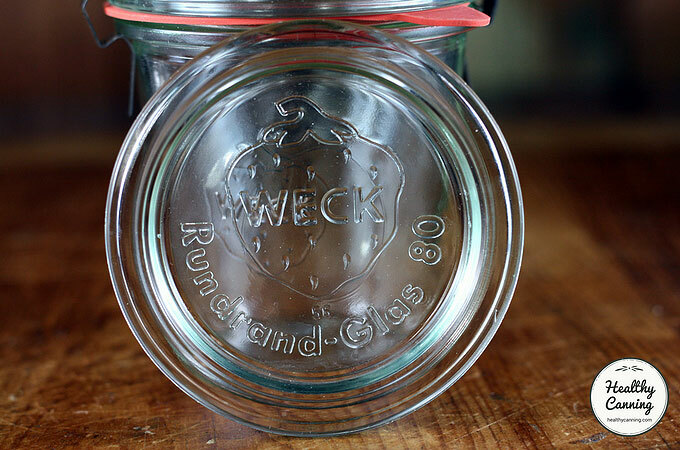 This information on this page about Weck jars is provided for those who are intellectually curious, and for people in Europe who just may not have access to the two-piece metal lid system. People in Europe wishing to follow current canning recommendations for two-piece lids but unable to access Ball supplies, may wish to look at Leifheit Mason jars or at the Kilner range of Mason jars: both have two-piece metal lids the same as Ball and Bernardin do in North America. On no account should processing directions, particularly for low-acid foods and baked goods in jars, by Weck be followed. I have a graduate student who will be starting a project … to look at sealing success rates, vacuums and maintenance of vacuum during storage periods. …. The comparison will be to the traditional two-piece metal lid system as well as some products packed in Weck jars also.”  National Center for Home Food Preservation to Tattler lids. Cited in Facebook post of 31 December 2012. Accessed May 2015. The evaluation is still ongoing in 2017. The NCHFP still has no guaranteed funding, so critical staff are often lost when special temporary funding ends. This affects the rate of progress that they would no doubt otherwise wish to achieve. But, evaluating Weck jars and releasing thoughts about them, one way or the other, is still the stated plan. We can be assured that when they do release, it will be meticulously thorough, as is customary for them. “Weck makes an electric boiling water canner (115 V, 1380 watts) that accommodates 7 mason-style quart jars. It is available with or without spigot.”  Alternatives to Smooth Top Ranges. Clemson University Cooperative Extension Service. Accessed June 2016. Directions from the manufacturer …. for the Weck non-pressurized electric boiling water canners, should be followed to get them assembled and for managing temperature settings to achieve a boiling process.”  National Center for Home Food Preservation. Burning Issue: Canning in Electric Multi-Cookers. 12 May 2016. Accessed June 2016. The Weck company headquarters are in Wehr (in a suburb known as Öflingen). Wehr is in the south-west of Germany, just to the west is the French border and to the south, the Swiss border. Wehr, Germany, indicated by the pink pointer in middle of the map. Google maps. The street behind the head office in Wehr is named Weckstrasse. The office building was built in the 1920s and is on 1.3 hectares of land. There is a store at the head office, called the “Weck Lädele” open till 4 on weekdays and closed on weekends. Staff in training for other departments get some time in the store, so they can get direct contact with Weck customers. The jars are made in Bonn-Duisdorf, 500 kilometres away. The materials for the jars are sourced in Germany. The quartz sand comes from the nearby Frechen, the soda from Rheinberg and the lime from the Eifel. (Frick, Hans-Peter.) There is also a Weck store at this Bonn plant. Today the company also makes unbranded jars for commercially-sold honey, jams, etc. 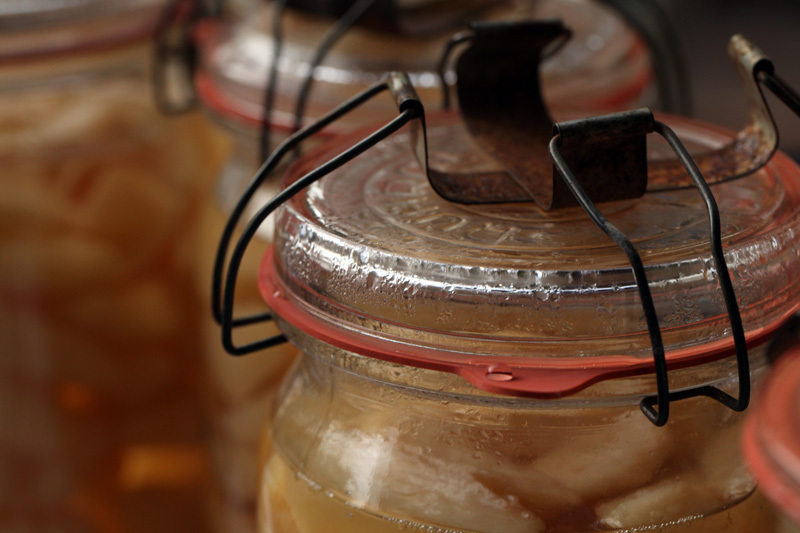 In fact, most of the jars Weck makes are actually screw-top jars for commercial use. 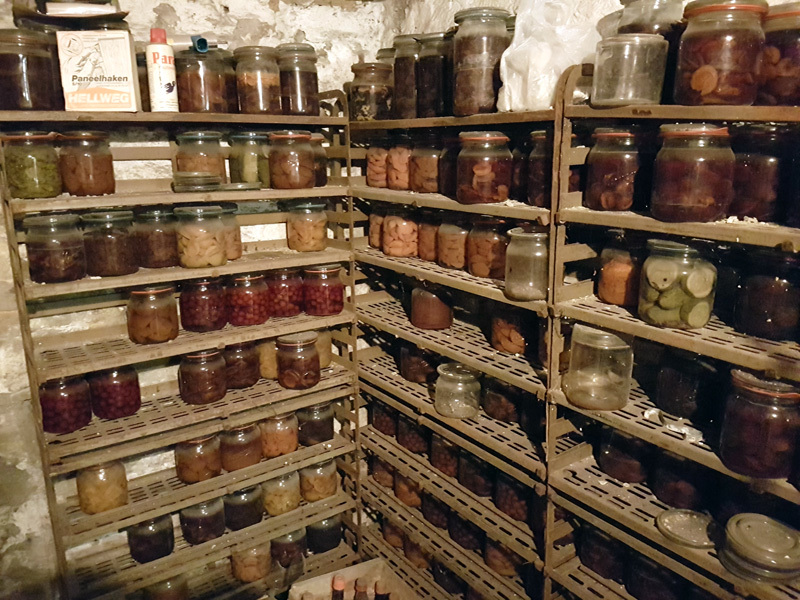 Only about 10% of their output is actually their famous home-preserving jars. ”350 bis 360 Millionen Behältnisse stellt Weck jährlich her, davon rund zehn Prozent Einkochgläser.” Schmidt, Barbara. Das Weckglas: Wie eine Wehrer Firma Deutschland geprägt hat. Badische Zeitung. 24 July 2015. For its first 33 years, the Weck story involves a husband and wife team from the famous Rempel family from Bielesfeld, then it passes briefly to the Weck family, and then to the van Eyck family. But even though it’s the Weck name that has stuck, since 1925 (92 years at this time of writing in 2017), it has actually been the Hackelsberger family which has cared for the company. The history of Weck jars began in the late 1800s with a chemist, Dr Rudolf Rempel (1859 to 1893). He was originally from Bielesfeld, where his father was a famous industrialist. Rempel was working in Gelsenkirchen, north-west Germany, a centre of coal production. As a sideline to his main work, he developed a process for sterilizing food inside jars that would seal with a vacuum seal. The system consisted of a glass jar, a glass lid and a rubber ring. You boiled the jars with a weight such as a stone placed on top of them to keep the lid on during processing. 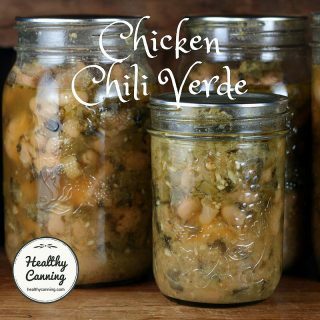 He and his wife Ed: Healthy Canning has been unable to locate her name experimented in their kitchen at home with hit and miss trials of preserving vegetables and fruits from their garden. Their preserving techniques, his wife said, were based on what would produce the best-looking outcomes in the jars: “wir probierten auf alle möglichen Arten, Obst und Gemüse mit schönem Aussehen zu sterilisieren.” Weck. Die Geschichte der Firma WECK. Accessed February 2017 at https://www.weck.de/index.php/ueber-uns . Page 4. At the same time, Rempel succeeded at developing a mechanical mechanism to replace the rocks holding the lids down during processing. An acquaintance, Dr. Otto Sack from Leipzig, convinced him to take out a patent for his jars. Rempel got his patent on 24 April 1892. Weck, as a vegetarian and tea-totaller, had a personal interest in preserving produce without alcohol. 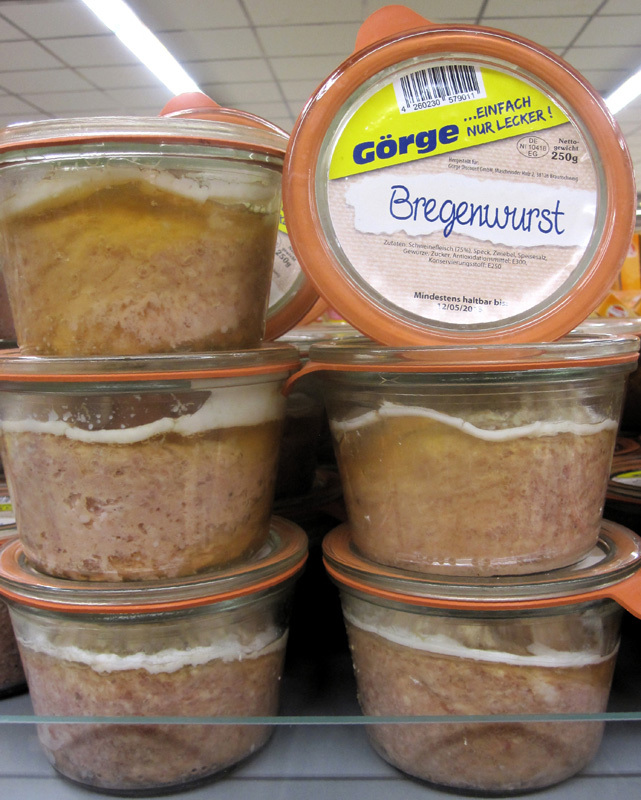 Weck was so enthusiastic he acquired from Rempel the rights to sell the jars in southern Germany. Rempel and his wife invested all their savings in a warehouse, legal costs, printing and advertising. In 1893, in the middle of ramping up for business, Rempel fell ill and died young at the age of 34. 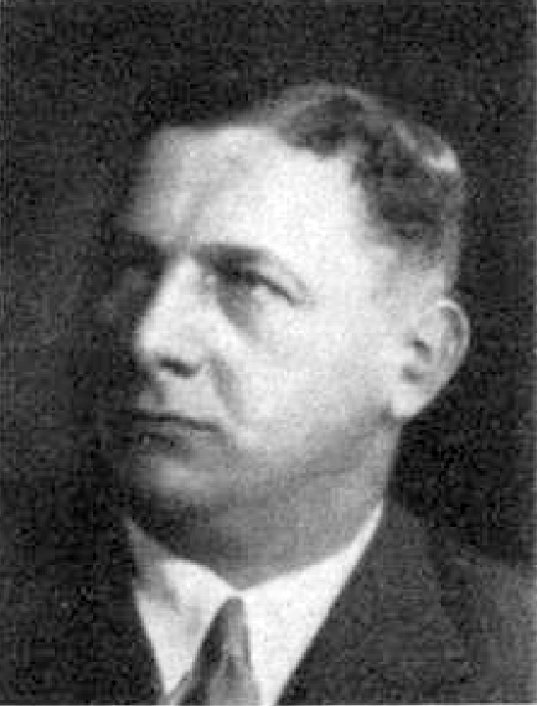 The patent passed briefly to an Albert Hüssener, an associate of Rempel, but Albert Hüssener didn’t have the money to invest in properly promoting the jars. Meanwhile Rempel’s wife remained a big believer in them and did what she could to drive sales through word of mouth. In 1895, Weck bought out the patent and moved the company’s offices to south-west Germany, to a town named Öflingen which today is a suburb of the city of Wehr. But Weck knew he needed help. He was 54, and more of an idealist than a concrete sales and marketing person. A young shop owner, Georg van Eyck (1869 to 1951), was selling more Weck jars from his store in Emmerich am Niederrhein in north-west Germany than were being sold in all the rest of Germany. He not only sold the jars, but gave his customers demonstrations in how to use them. Van Eyck, who was nearly 30 years younger than Weck, had the ability to market the jars to the next generation. Weck decided to offer van Eyck a place in the jar business. Shortly after the company was formally founded, they bought out a small glass factory in Friedrichshain in north-east Germany. 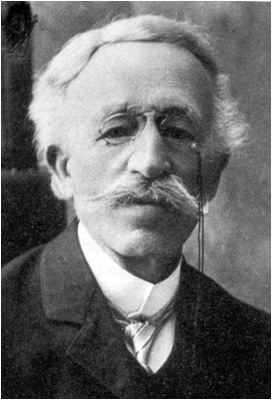 Not long after, though, in 1902, Weck decided to leave the company for ‘personal and family reasons’: “The restless spirit wanted to market the idea of keeping food in glasses also in Lorraine, then moved to Nancy, and finally landed in the Luxembourgian town of Echternach.” ”Johann Weck blieb nur bis 1902 in Öflingen. 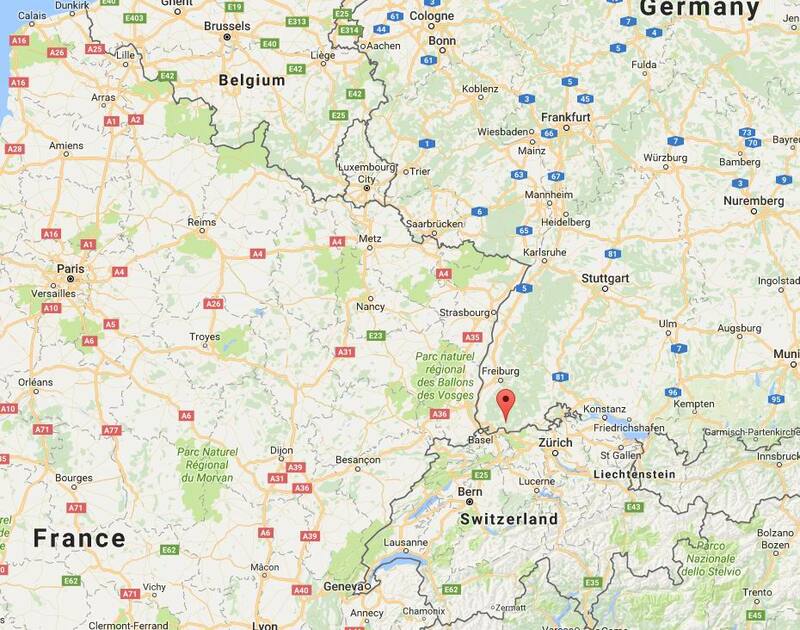 Der Unruhegeist wollte die Idee von der Frischhaltung in Gläsern auch in Lothringen vermarkten, zog nach Nancy, landete aber schließlich im luxemburgischen Echternach, wo er 1914 starb.” Frick, Hans-Peter. 100 Jahre Weck-Glas. Van Eyck really became the true father of the company, though he kept the Weck name for it. He paid over twenty home economics teachers to visit various towns and give “Weck” lessons in church halls, schools, community centres and hospitals. “More than twenty home economics teachers were working for us”, says (current) Managing Director Eberhard Hackelsberger. They travelled with Weck jars and cooking pots in their luggage by bus and train across the country. They showed the new procedure in cooking schools, church communities, hospitals and monastery schools.” ”Mehr als 20 Hauswirtschaftslehrerinnen waren für uns im Einsatz”, so Geschäftsführer Eberhard Hackelsberger. Sie fuhren mit Gläsern und Kochtopf im Gepäck mit Bus und Bahn übers Land. In Kochschulen, Kirchengemeinden, Krankenhäusern und Klosterschulen zeigten sie das neue Verfahren.” Frick, Hans-Peter. 100 Jahre Weck-Glas. Van Eyck continued to improve the design of the jars, as well as create a line of accessories to go with the jars. 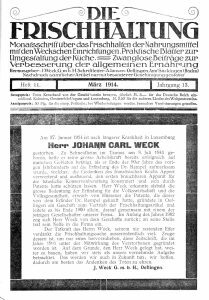 His death notice appeared on the front page of Weck’s magazine. By 1914, Weck was becoming a booming business, in part thanks to exports to the rest of Europe, but the First World War which started in the summer of that year, ruined exports for the company. Come out of your peaceful stillness! The woman now serves the fatherland, not just the house. Heraus aus deiner friedlich stillen Ruh! Die Frau dient jetzt dem Vaterland, nicht nur dem Hause. Frick, Hans-Peter. 100 Jahre Weck-Glas. In the 1920s, the company built the head office building they still use today on a 1.3 hectare site in (Öflingen) Wehr, south-west Germany. Meanwhile, at the factories, production was switched to machine-made glass. This made Weck jars more affordable for more people. Previously, it had been mostly middle-class people who could afford the Weck jars. The original Weck logo was a strawberry on a stem, with some leaves. The logo was simplified when production switched from hand-blown to machines. Schmidt, Barbara. Das Weckglas: Wie eine Wehrer Firma Deutschland geprägt hat. Badische Zeitung. 24 July 2015. In 1925, Georg handed the management of the business over to Albert, who was 32. 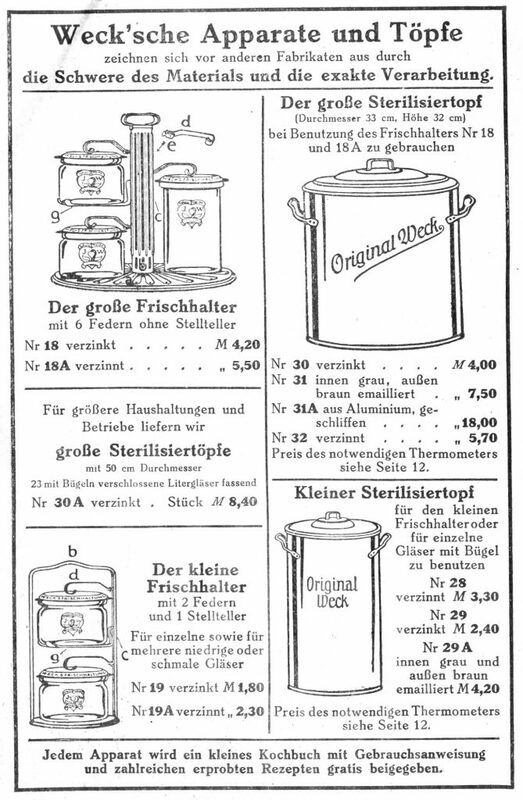 In 1926, Weck acquired the Rex line of preserving jars used in Austria. Angelika Baeumerth, Matthias Kliem, Alexander Wächtershäuser (Hrsg. ): Das Jahrhundert im Taunus. 3. Auflage. Societäts Verlag, 2000, ISBN 3-7973-0731-4, S. 67. 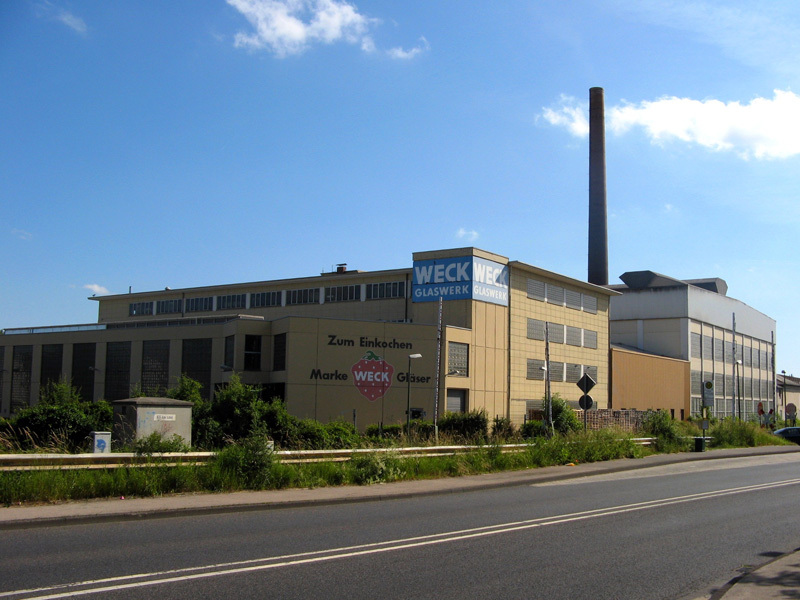 Weck had three glass factories by the time of the outbreak of the Second World War in 1939: the one previously mentioned, Friedrichshain, in what would later become East Germany, as well as two others on land that was awarded to Poland after the war: Wiesau (now called “Laka” in south-western Poland) and the Adler Glassworks in Penzig (now called Pieńsk) in south-western Poland. In September 1938, Albert was arrested for political activities against the Nazis; he died in prison two years later. The Nazis otherwise left the company alone. While they had a terrible population health strategy, they may have had some sense that food self-sufficiency should at least not be discouraged. It is unclear who ran the company during the war. His first business move was to restart Weck’s Ratgeber (“counsellor”) magazine, to help recreate demand for Weck products. In 1950, the company built a new glass factory in Bonn-Duisdorf in West Germany. He started with producing preserving jars and glass measuring jugs. In 1951, Franzjosef’s grandfather Georg van Eyck died, age 82. In 1958, Franzjosef added glass bricks for construction to the Weck product line, and in 1960, commercial bottles and jars for industrial food packers. In 2004, Weck stopped the production of glass bricks. They were unable to compete with similar product from Asia. Eberhard credits the company’s survival to its having maintained a diversity of related products. Eberhard is unmarried and has no children (as of 2017), so it is unclear what the line of succession at Weck will be. The design of Weck jars currently (2017) has an indented lid, but the design of the jars has varied over the decades. At one time, the jars had raised lids instead, and a different clamping system. Frick, Hans-Peter. 100 Jahre Weck-Glas: In alter Frische. Badische Zeitung. 19 July 2010. Mayer, Verena. Das Einweckglas. Stuttgarter Zeitung. 1 October 2014. Rayner, Lisa. The Natural Canning Resource Book. The Natural Canning Resource Book. Flagstaff, Arizona: Lifeweaver LLC. 2010. Page 62 – 64. Schmidt, Barbara. Das Weckglas: Wie eine Wehrer Firma Deutschland geprägt hat. Badische Zeitung. 24 July 2015. 1. ↑ Rayner, Lisa. The Natural Canning Resource Book. Flagstaff, Arizona: Lifeweaver LLC. 2010. Page 63. 2, 9, 13. ↑ Rayner, Lisa. The Natural Canning Resource Book. Page 63. 3. ↑ There is also a “jelly glass / Geleeglass” with a metal lid, with a capacity of 235 ml. 4. ↑ Oz Farmer. FAQ. Accessed March 2015 at https://ozfarmer.com/index.php?route=information/faq/faq&faqcategory_id=6. Link invalid Jan 2018. 6. ↑ Der Schlüssel zum Erfolg. https://www.weckonline.com/der-schlussel-zum-erfolg. Accessed February 2017. 7. ↑ Ziedrich, Linda. Home Canning, BPA-Free. Blog entry 20 January 2012. Accessed March 2015. 10. ↑ The Key to Success. Weck International Online. Accessed February 2017 at https://www.weckonline.com/the-key-to-success! 11. ↑ McLellan, Marisa. How to Pressure Can Dried Beans in Weck Jars. 12. ↑ Weck canning notes. Accessed March 2015. 14. ↑ Ziedrich, Linda. Home Canning, BPA-Free. 17. ↑ The Key to Success. Weck International Online. 18. ↑ Devitt, Dave. Freezing in Glass: Fruits and Vegetables. Weck. 2011. Page 1. 19. ↑ Judy. info@weckjars.com. 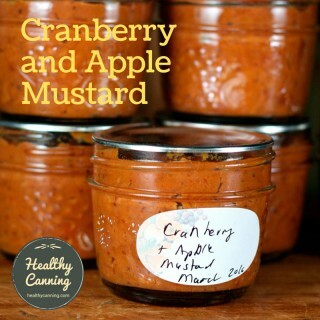 Correspondence with Healthy Canning. July 2017. Emails on file. 21. ↑ Ziedrich, Linda. Home Canning, BPA-Free. 23. ↑ Frick, Hans-Peter. 100 Jahre Weck-Glas: In alter Frische. Badische Zeitung. 19 July 2010. 24. ↑ ”Und mit den Hausfrauen in Deutschland hält die Firma Weck Kontakt über ihre nun seit 1901 erscheinende Monatszeitschrift “RATGEBER FRAU UND FAMILIE” — Weck. Die Geschichte der Firma WECK. Accessed February 2017 at https://www.weck.de/index.php/ueber-uns . Page 7. 26. ↑ National Center for Home Food Preservation to Tattler lids. Cited in Facebook post of 31 December 2012. Accessed May 2015. 27. ↑ Alternatives to Smooth Top Ranges. Clemson University Cooperative Extension Service. Accessed June 2016. 28. ↑ National Center for Home Food Preservation. Burning Issue: Canning in Electric Multi-Cookers. 12 May 2016. Accessed June 2016. 29. ↑ Angelika Baeumerth, Matthias Kliem, Alexander Wächtershäuser (Hrsg. ): Das Jahrhundert im Taunus. 3. Auflage. Societäts Verlag, 2000, ISBN 3-7973-0731-4, S. 67. 30. ↑ ”350 bis 360 Millionen Behältnisse stellt Weck jährlich her, davon rund zehn Prozent Einkochgläser.” Schmidt, Barbara. Das Weckglas: Wie eine Wehrer Firma Deutschland geprägt hat. Badische Zeitung. 24 July 2015. 32. ↑ Weck. Die Geschichte der Firma WECK. Accessed February 2017 at https://www.weck.de/index.php/ueber-uns . Page 4. 34. ↑ ”Johann Weck blieb nur bis 1902 in Öflingen. Der Unruhegeist wollte die Idee von der Frischhaltung in Gläsern auch in Lothringen vermarkten, zog nach Nancy, landete aber schließlich im luxemburgischen Echternach, wo er 1914 starb.” Frick, Hans-Peter. 100 Jahre Weck-Glas. 35. ↑ ”Mehr als 20 Hauswirtschaftslehrerinnen waren für uns im Einsatz”, so Geschäftsführer Eberhard Hackelsberger. Sie fuhren mit Gläsern und Kochtopf im Gepäck mit Bus und Bahn übers Land. In Kochschulen, Kirchengemeinden, Krankenhäusern und Klosterschulen zeigten sie das neue Verfahren.” Frick, Hans-Peter. 100 Jahre Weck-Glas. 38. ↑ Schmidt, Barbara. Das Weckglas: Wie eine Wehrer Firma Deutschland geprägt hat. Badische Zeitung. 24 July 2015. 41. ↑ Angelika Baeumerth, Matthias Kliem, Alexander Wächtershäuser (Hrsg. ): Das Jahrhundert im Taunus. 3. Auflage. Societäts Verlag, 2000, ISBN 3-7973-0731-4, S. 67. I have used Weck for many years. 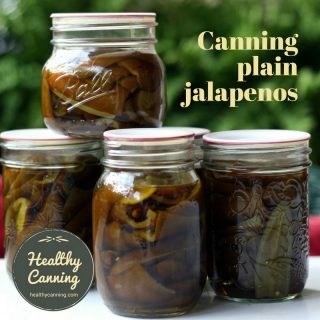 I believe them to be safe and practical for the type of canning I do. 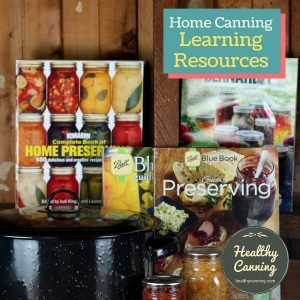 I do not do any pressure canning or can low acid vegetables. Because the glass is thicker than Ball jars I boil my jars and glass tops and keep them in hot water until ready to fill just to be sure. I do not add any processing time. I use a Weck electric canner which I don’t think is available in the US anymore. It is extremely large so the fatness of the deco jars is not a space problem. I follow all the USDA canning safety rules except for the jar type and have never had a failure. I don’t know why these jars are still looked at with such disdain after so many years of being on the market unless they resist testing them because Ball/Mason is an American institution. 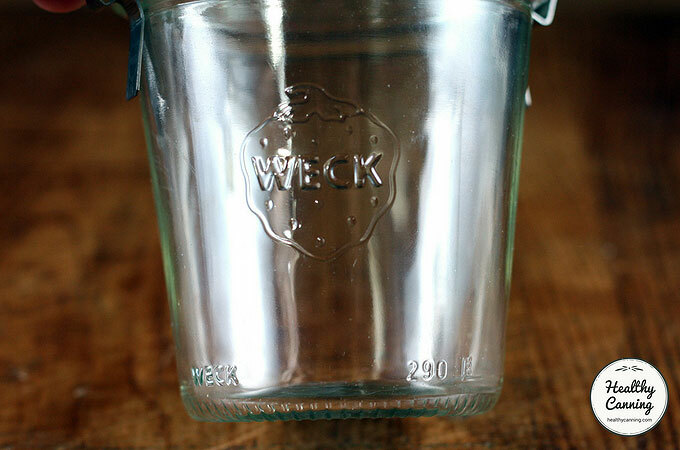 Weck are lovely, satisfying jars to work with. Our understanding is that closure systems such as Weck are currently part of a test but tests do take time (they can’t go, hey, it sealed, have at it everyone! They need to do a bunch of jars, and measure the force of the seal over years on a shelf to be sure their recommendation will stand the test of time for hundreds of millions of users.) And whatever recommendation they make, they have to be prepared to live with, because everyone is very vocal these days and very quick to let people know what they think. The testing issue is always this: they would love to test far, far more things but the teeny division of the USDA that works with canning is like a speck of dust in the universe, and they only get a church-mouse budget to work with. I am absolutely loving my Weck jars. I have used the 500ml Kilner, Ball and Weck jars in the same canner. My only upset is that these fat jars only hold 5 in my canner, the website says you can double deck so with a rack it would be 10. The thing is, My canner would hold 15 of them if I Triple decked. They fit. I was scared to try it. My theory is that the pressure built in the canner would be the same at the top as the bottom as the steam is circulating to create that pressure. However, my fear is that the extra weight may prevent air escaping from the lower jars. Any thoughts on this? Even after reading all the negative things about Weck, I am still not put off. In fact, I really do want to invest in it. I read some successful stories about Americans canning with them. Ball is only available in 1 shop and cost £4 a jar or £7+ each jar on eBay. Kilner is available easily but about £2-£3 and does not have wide mouth jars Their jars are good quality, I would say slightly thicker than Balls jars but the seal on the lids isn’t as good. Pressure canning over here is unusual. I am the only person I know who cans apart from the bloggers I read about online. I really do hope that they test them and come up with guidelines because if not, people like me will be the testers. It almost sounds like they aren’t bothered to test this. Maybe there isn’t a financial gain in the US to bother with these. Maybe it’s because the U.S. have an abundance of great quality canning products available already at a such a great price. I hear that you can get jars for less than a dollar each AND still have huge amounts of people who sell them secondhand online. We have no such luck so if I have to pay those prices, I would rather get the best I can. Hi Maxine, we were given to understand that Weck jars might be part of some testing that is currently underway. Thanks for getting back. I look forward to the test results. Weck jars are fantastic.